With a long held desire to serve the Jewish community & tradition, and prompted by an inquiry from a family in southern California, we developed a traditionally crafted real Sukkah. 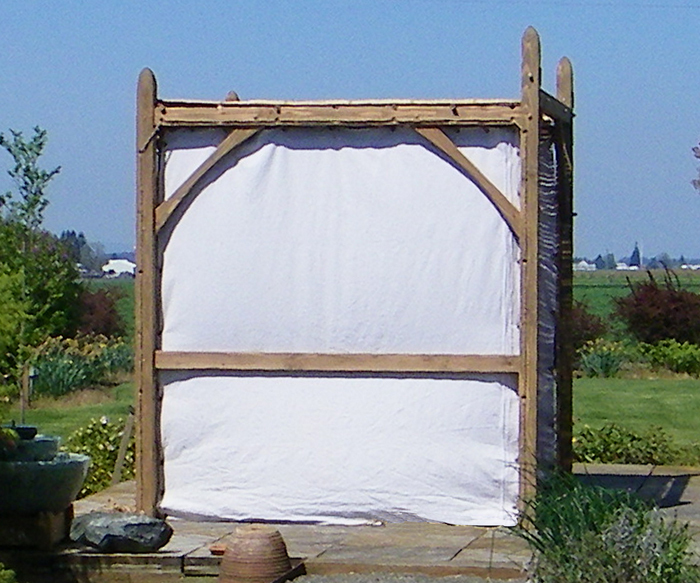 Our goal was to craft a real Sukkah from all-natural materials using Kosher design and practice that would be of heirloom quality. Using millennia old traditional methods and sustainably supplied raw materials, our Sukkah frames are crafted with mortise and tenon joinery held together with oak pegs. The Sukkah is easily assembled, disassembled and stored. An assembly tool kit, with instruction manual, is included with each Sukkah. Each element of the Sukkah frame is color coded ensuring ease of assembly. This real Sukkah is crafted as a Sukkah could likely have been crafted thousands of years ago using all natural materials. Natural fiber wall panels are available. 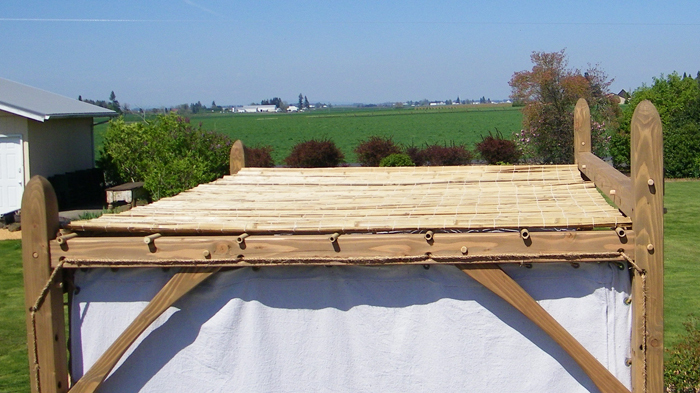 We recommend the use of Schach, (Kosher bamboo mats for Sukkah top,) from The Sukkah Center. The use of other materials may also be used after consulting your Rabbi. 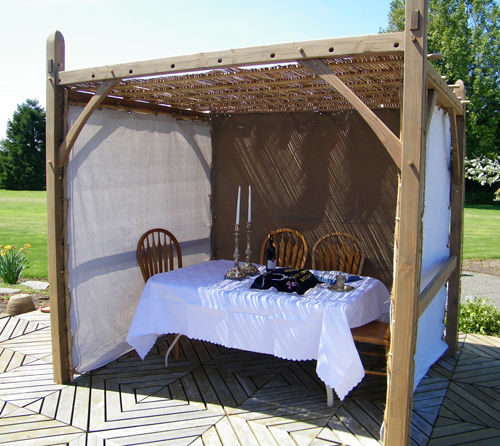 The Basic stand-alone Sukkah frame is 8 feet wide by 6.5 feet deep and accommodates a 36” by 36” table seating 4 people. 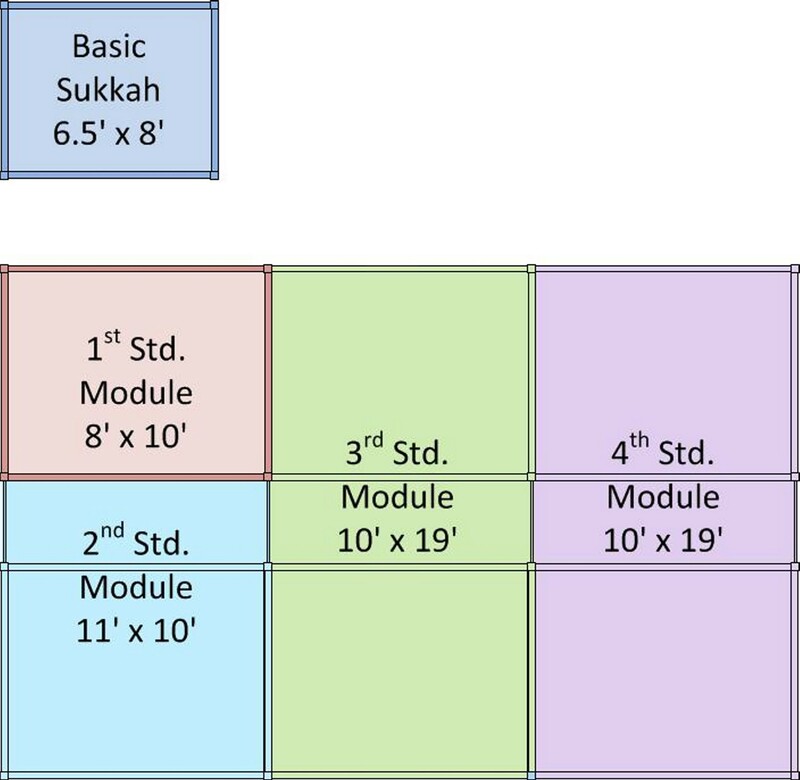 Use The Sukkah Center Schach bamboo mat 6' x 8'. This frame also doubles as a traditionally crafted Chuppah frame. Careful design, materials and crafting considerations are taken to insure proper Sukkah structures are available for the use of our clients. Our Sukkahs are designed with the assistance and oversight of Rabbi Avrohom Y. Perlstein, of Chabad Jewish Center of Salem, Oregon who supervises Rabbinical Review. Kosher certificate is available here. 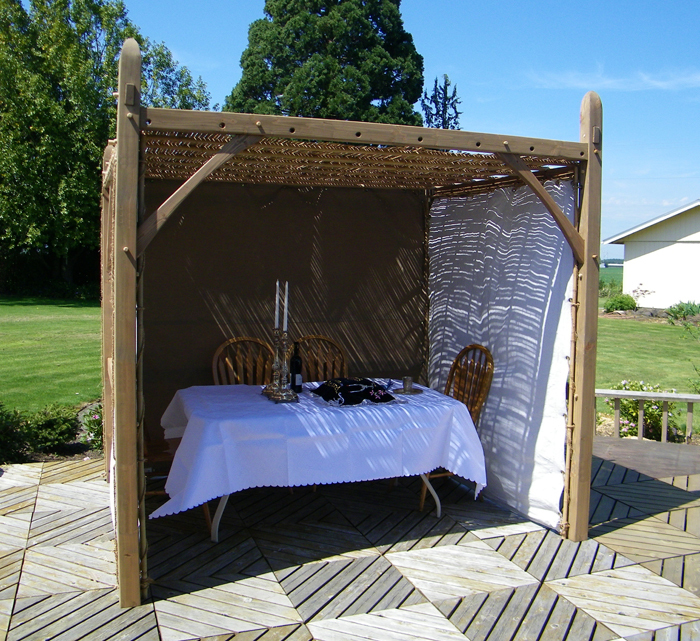 As designed and crafted, our Sukkah is different than those that are available by others on the current market. It is handcrafted from traditional materials using traditional techniques and a traditional approach. The resulting price is correspondingly different than other's prices as we are providing a product that is substantially different than what others make available. 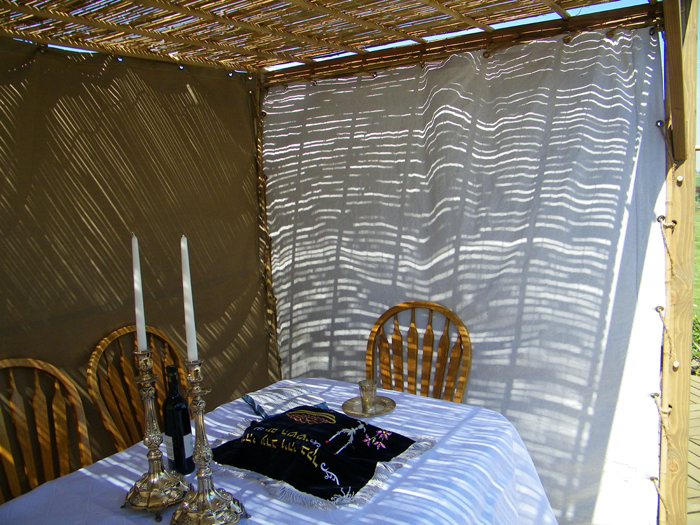 Your Sukkah will be available for pick-up or we will ship it to you if you desire. The frame will be sanded and ready to be stained or painted by you. Many families choose to leave the wood unfinished allowing it to develope a natural patina. In preparation for shipping, the frame and all items ordered will be placed in a sturdy crate to minimize damage in shipping. We ship to all points within North America. Please contact us by email or phone and so that we may serve you. You can also visit our Etsy Shop!